We talk about Barcelona with Josep Lluís Mateo, following the release of his app for tourists and architects entitled “BCN architecture guide”, downloadable free of charge from his web site. What to see and what to avoid, according to Josep Lluís Mateo: a tour of the less touristy, less famous side of Barcelona. Ninot market in Barcelona’s Eixample district has reopened. Built in 1933, the facility was renovated by Mateo Arquitectura of Spain. 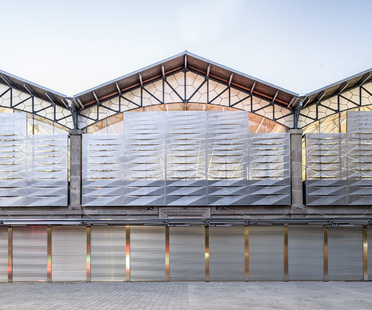 Mateo Arquitectura’s project has given Ninot market a new relationship with the city. The Castelo Branco Arts Centre in Portugal is the last building in the project by Mateo Arquitectura to redevelop Praça Largo da Devesa as a new town centre.